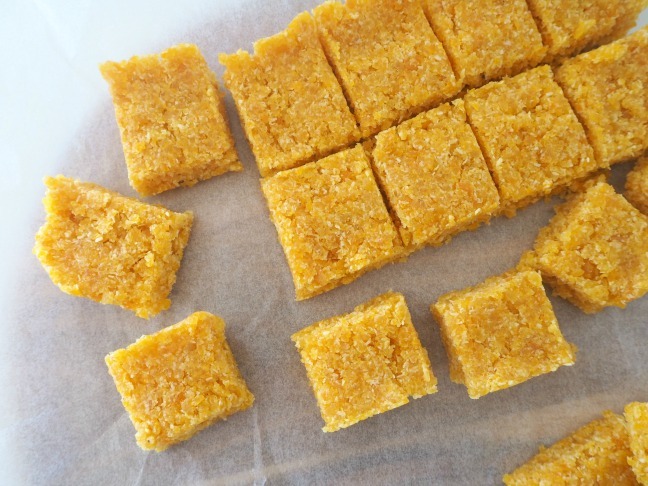 Ok, so I know that I say it A LOT, but this 2 Ingredient Apricot and Coconut Slice really is one of the easiest recipes you can make, I promise! All you need is two ingredients, and then you simply blitz them together using a food processor, stick blender, Thermomix (whatever you have!) and press the mixture into a pan and wait until it firms – too easy! 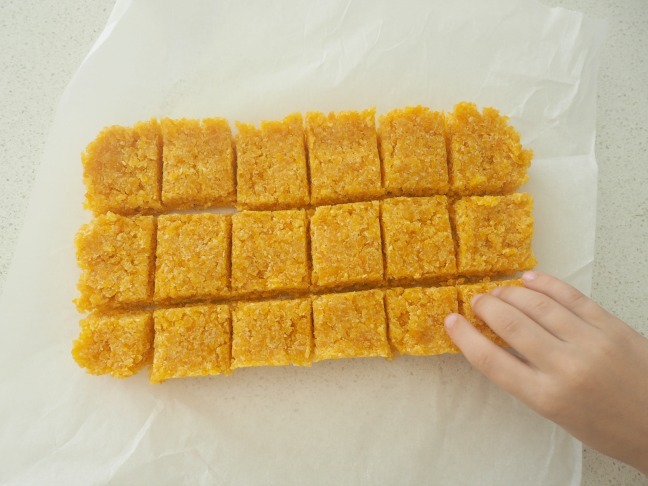 This slice is loved by our entire family, especially my two apricot obsessed boys, and they also love to help me make it – and eat a few of the dried apricots in the process! 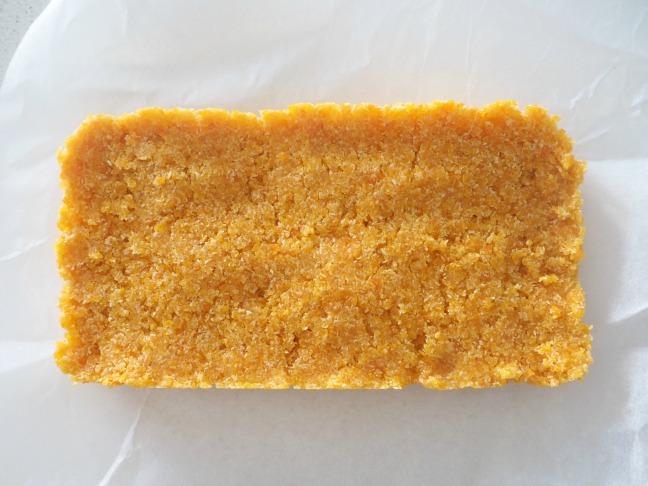 This slice is a regular in my kids snack boxes and is perfect for school lunch boxes too. When making this slice, make sure that the apricots and coconut have combined well. When you scoop up the mixture, it should hold together slightly. It’s also important to make sure you push the slice really firmly into the tin so that it binds and sets without being crumbly. Once set, you can cut the slice into bars or small pieces depending on your preference. 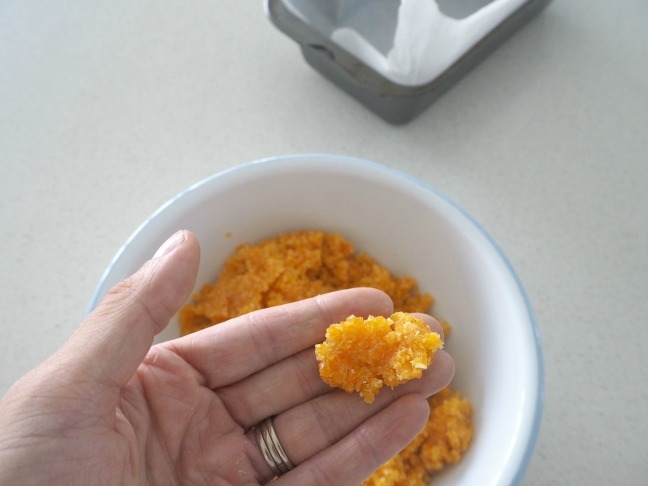 You can also make this slice in advance and store it in an airtight container in the freezer. Step 1: Line a 10 x 28 cm (approximately) loaf tin with baking paper – make sure you leave plenty hanging over the sides to help you remove the slice once set. 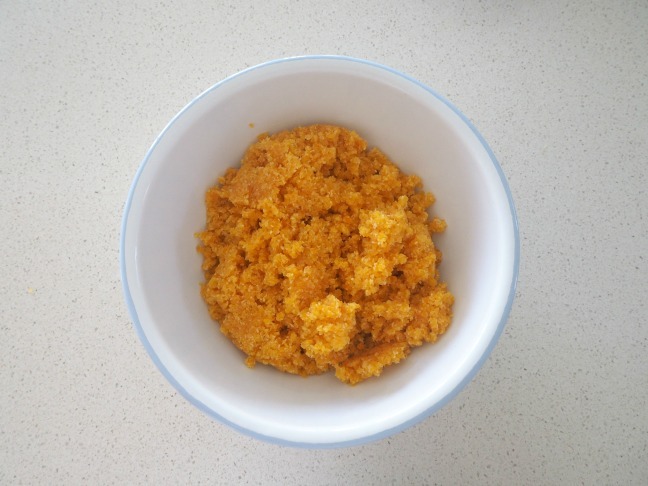 Step 2: Place the dried apricots and coconut into your food processor (or a large bowl if using a stick mixer) and blitz until the apricot pieces are finely chopped and the mixture is well combined. The mixture should hold together when you scoop it up. This should take around 1 minute. Step 3: Pour the mixture into your prepared baking tin and use a metal spoon to evenly spread it and push down firmly until you have a smooth surface. Step 4: Place the slice into the fridge for 4 hours to firm – or put straight into the freezer if you prefer your slice to be very firm. 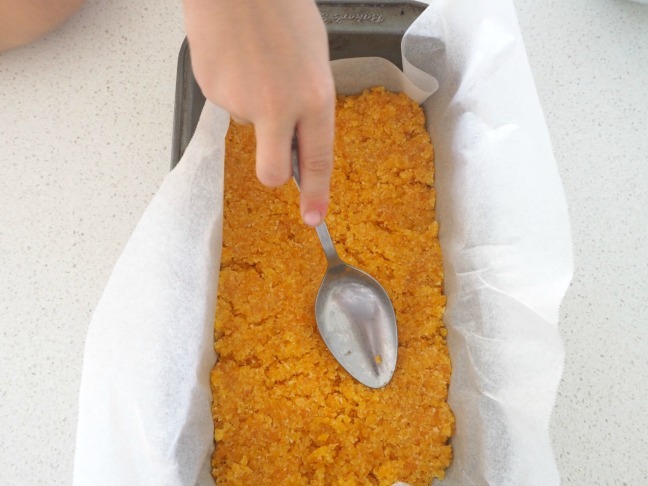 Use the excess baking paper to remove the Apricot and Coconut Slice from the tin and cut into small squares. Store this slice in the fridge (or freezer) and enjoy!